From Aramm to Maanagaram to Kurangu Bommai to 8 Thottakkal to Oru Kidaiyan Karunai Manu, if you look at the widely-acclaimed Tamil movies of 2017, it's easy to note that how thriller has become the go-to genre for young debutant filmmakers in Kollywood. 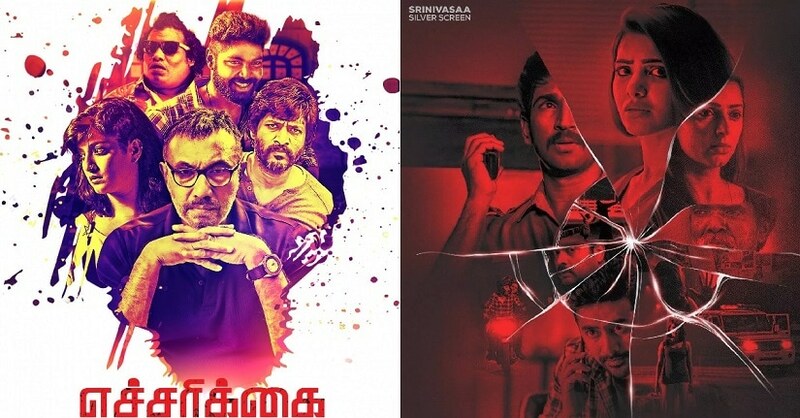 The forthcoming Tamil release Echarikkai, which is gearing up to hit screens on 24 August, and Samantha Ruth Prabhu's Tamil, Telugu bi-lingual U-Turn, which is slated for 13 September release, are also thrillers. While the former is a crime thriller starring Varalaxmi Sarathkumar, Kishore, and Sathyaraj in the lead roles, the latter is a mystery thriller and marks the Tamil debut of filmmaker Pawan Kumar, who rose to immense fame in Sandalwood with his excellent directorial effort in psychological thriller Lucia. In an interview with FirstPost earlier, Samantha confessed that she's pinning her hopes on U-Turn to bag more performance-oriented roles in Tamil. “Films like Eega, Manam and Rangasthalam offered me the scope to perform, but I hope things will also change in Tamil after U-Turn”, she had said. Echarikkai is directed by Sarjun KM, who grabbed the attention of moviegoers with his controversial, hotly-discussed short films such as Lakshmi and Maa, which were backed by filmmaker Gautham Menon. Now, Sarjun KM is busy with his untitled sophomore project, which features Nayanthara in the lead role. Produced by KJR Studios, which bankrolled Aramm, this yet-to-be-titled is said to be an emotional horror-thriller. Another young filmmaker who made heads turn with his directorial debut towards the fag end of 2016 was Karthick Naren, with a peachy thriller in Dhuruvangal 16. His second film, Naragasooran, which is again a thriller, is confirmed to hit screens on 31 August. The film stars Arvind Swami, Sundeep Kishan, Shriya Saran, Indrajith Sukumaran, and Aathmika in the lead roles. In an interview to FirstPost last year, Karthick confessed that thriller is one of his favourite genres but added that he doesn't believe in categorising a film based on a single style. While thriller is a tricky genre that needs to captivate audiences with regular twists and turns sans manipulation, one of the reasons why debutant filmmakers mostly embrace it is because they have an opportunity to mount their projects in shoe-string, sizeable budgets. The hit ratio of a thriller as a genre is also extremely high when compared to other subjects that frequent the cinema screens. At a time when A-list actors are busy with star vehicles and mainstream masala entertainers, thriller films continue to be the most-experimented genre in Tamil cinema. Varalaxmi Sarathkumar's Velvet Nagaram, directed by debutant Manojkumar Natarajan, is an investigative thriller which is currently nearing the final stages of shooting. Talking to FirstPost, Manojkumar had said,"It’s a proper thriller drama with elements of action. The action scenes will not be over-the-top but situational and quite realistic. Varu has an action sequence too, and I promise you that it won’t feature any old-fashioned, gravity-defying stunts." Karthi's highly-successful investigative thriller Theeran Adhigaaram Ondru released in 2017 also stands testament to the fact that how the genre works well for actors who don't carry any particular image. In fact, the blockbuster success of Theeran has now landed its director Vinoth a project with Thala Ajith. He's confirmed to helm Ajith's next film, which will reportedly be produced by Boney Kapoor. If the Kollywood grapevine is anything to go by, the project will be an official remake of Amitabh Bachchan, Taapsee-starrer Pink. Other acclaimed films in 2017 such as Ivan Thanthiran, Kuttram 23, and Lens were also majorly thrillers. Trisha's upcoming project 1818 is also a thriller directed by debutant Rithun Sagar. The film, which is based on the 2008 Mumbai attacks, is being made as a bi-lingual thriller in Tamil and Telugu. 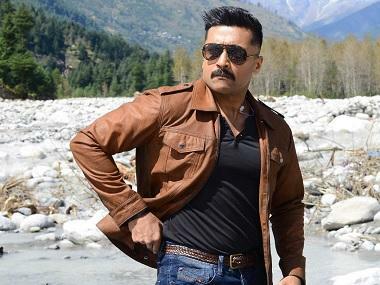 Recently, Kollywood rejoiced in the success of Tik Tik Tik, which was promoted as India's first space thriller. 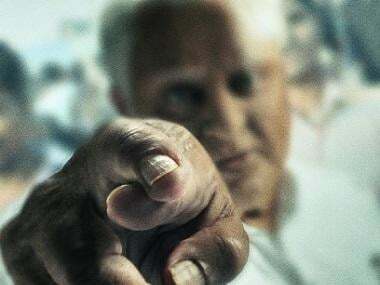 Sci-fi, another less-explored genre in Tamil cinema, is also picking up steam with Sivakarthikeyan's upcoming project helmed by Indru Netru Naalai fame director Ravikumar.